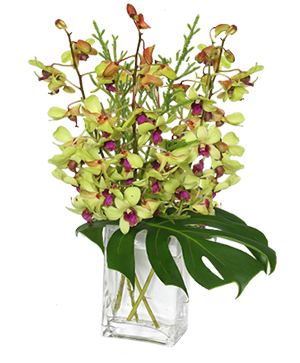 At Tropical Interiors Florist, we offer same day delivery to Palmetto, Ellenton, and Parrish, Florida. 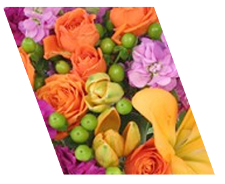 Serving Local Hospitals, Funeral Homes, Businesses and Residences. 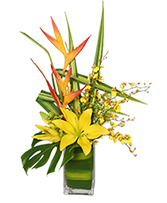 Our Farm is located in Palmetto, where we grow greenery and plants to enhance the freshest flowers for You. 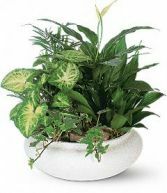 Any order placed for Palmetto, Ellenton or Parrish is designed and delivered by Tropical Interiors Florist, NOT sent to another Florist for a fee. 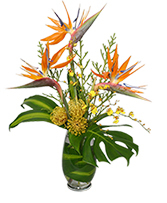 Our Flower Shop is located just across the Manatee River in Bradenton, Florida. 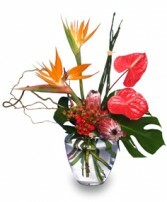 Trust in Tropical Interiors Florist for all your Palmetto, Florida Floral needs. 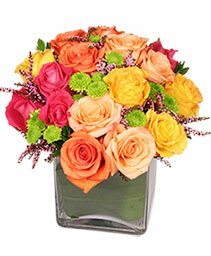 The FTD® Bountiful™ Bouquet bursts with harvest cheer and Autumn beauty. 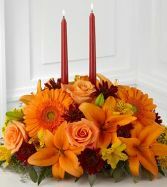 Bright orange roses, Asiatic Lilies and Peruvian Lilies are gorgeously accented with rich red spray roses and seeded eucalyptus perfectly arrranged in a designer ceramic pumpkin container, with lid included, to send your most heartfelt wishes of affection and gratitude. 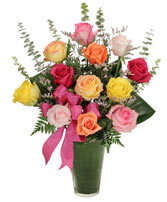 GOOD bouquet includes 5 stems. 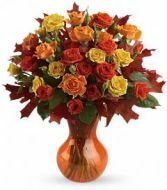 Approximately 8"H x 8"W.
Natural amber comes in every shade of gold – and this striking display of fresh spray roses in autumn’s favorite hues of gold and orange, accented with a few oak leaves, is perfectly precious! 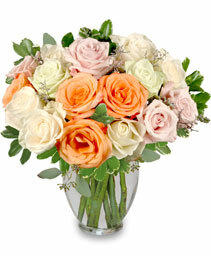 A lovely pick-me-up for a crisp fall day. 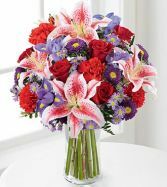 This beautiful bouquet will surely catch their eye with its stunning array of red roses, pink lilies, purple iris, purple aster and more. 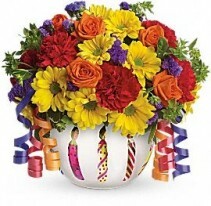 There's no mistaking this bouquet for anything but a Happy Birthday wish! With its colorful streamers and birthday candle design, this bright arrangement is perfect as a great party centerpiece or to send to a loved one far away. The cross, eternal symbol of faith, is stunningly depicted in this glorious bouquet centering around a simple, beautifully crafted keepsake made of crystal. 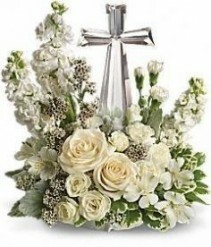 A lovely, inspiring gift that will never be forgotten.